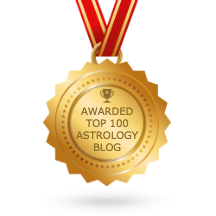 Look at your own birth chart to see where the major changes or events will occur for the next 6 months to a year ahead. If you have a planet or other sensitive point within 3 degrees (+ or -) of this degree, or opposite this degree (in Aquarius), then this eclipse will have a major impact on those areas of your life. The Sabian Symbol for this degree is “Early morning dew salutes the sunlight.”. This is a promising note that implies the possibility of the dawn of a new day after some type of struggle or stuck energy pattern. You can work in a positive way to refresh your life with new inspiration after perhaps a ‘dark night of the soul’. You could also choose to continue in your stuck patterns, instead of letting them go, or allowing the Universe to help shift them. We humans are given the gift of choice, so choose wisely which direction you want to take here. Take advantage of this Saros Cycle to act with speed when the Universe presents you with a breakthrough solution to what may have felt like a hopeless situation. The Full Moon Lunar Eclipse follows on August 16th at 24 degrees, 21 minutes of Aquarius/Leo. Watch this blog for additional information as we near that time frame. As a footnote: I’m settling into my new mountain home in the Sierras. It feels good to be amidst tall trees again. The smoky air is slowly clearing from all the fires and we all hope and pray further devastation is prevented from our beautiful forested lands here in California.